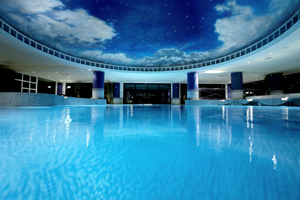 C&IT has teamed up with the Celtic Manor Resort in Wales to offer one lucky reader plus guest the chance to win a two-night stay with dinner and a spa treatment or a round of golf. 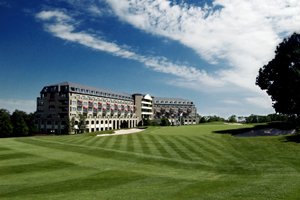 The Ryder Cup host venue was voted Best UK Conference Hotel 2010 by readers in C&IT’s Hot List 2010. It offers a range of event spaces for up to 1,500 delegates, including a purpose-built convention centre and exhibition hall and 31 meeting rooms. The five-star hotel also offers six restaurants, two spas and three championship golf courses. It is located adjacent to junction 24 of the M4 motorway, 45 minutes from international airports at Cardiff and Bristol. The prize includes a two-night stay in a suite at the Celtic Manor Resort for two people, dinner on one evening of the visit in the resort’s fine-dining 3AA-rosette restaurant, The Crown at Celtic Manor, and the choice of an Elemis face and body sensation treatment or 18 holes of golf. To enter, send your answer to the following question to citcomp@haymarket.com by 21 January 2011: How many meeting rooms does the resort offer? Subject to availability. Excludes dates of resort events. Prize based on two people sharing a suite. All food and beverage not included in the prize must be settled on departure. Prize must be claimed by 30 September 2011.